Disclaimer: I am not a nutritionist. The following post reflects my own experience and knowledge only. I get it all the time. 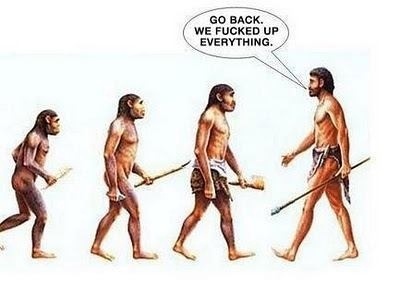 That was because I didn’t understand the concept behind Paleo. 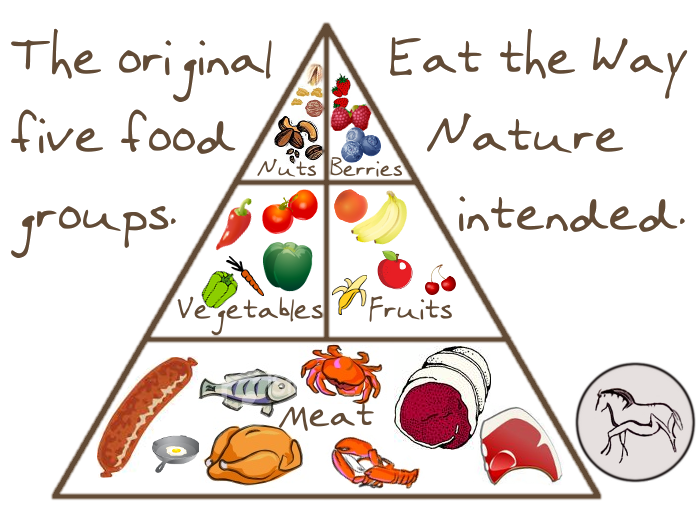 The simple idea of eating REAL food. Modern food has gotten out of hand. Let’s take salt for instance. That’s something so simple that you couldn’t possibly mess it up, right? 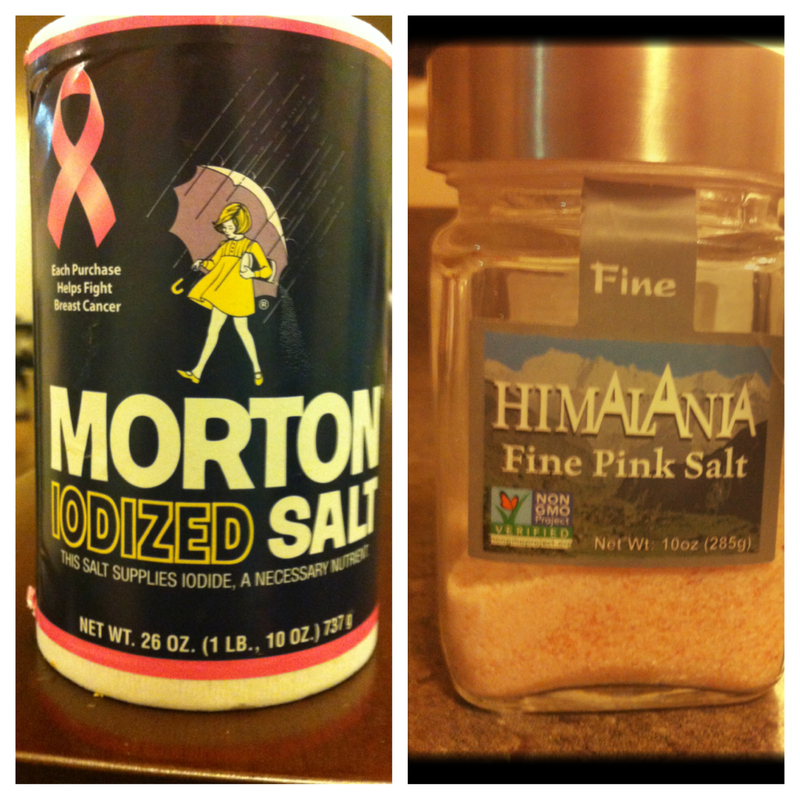 In it’s original form, salt has 84 minerals that are essential for the body to function at its highest capacity. Modern processed salt removes 80 of those minerals. Have you ever noticed that most salt is advertised as “iodized salt” even though in its natural state salt already has iodine in it? In the mid 1900’s doctors started noticing higher numbers of goiters and degenerative diseases. They linked these incidents back to the lack of iodine (an essential mineral) in people’s diets due to iodine being removed from salt during the process of creating common table salt. Salt companies then began adding iodine back in to table salt and advertising it as “new and improved.” You would think it would be easier just to harvest salt naturally, instead of heat blasting it and chemically processing it to remove minerals and then adding a couple back. 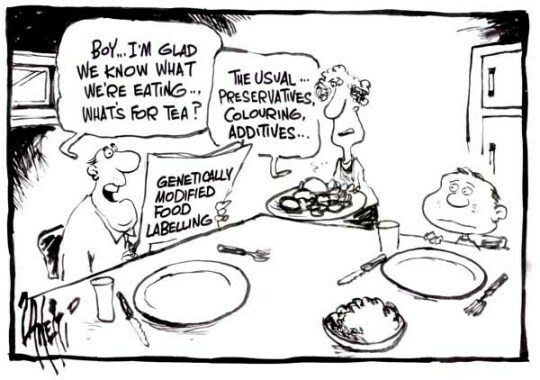 But, that sort of thinking seems to be common place with food companies now-a-days. But okay, enough rambling about salt. Where was I? Oh, right. Paleo. 3) Eat to maintain proper digestive health. It’s Simple. Eat the food your body was intended to. Whatever type your heart desires. This could be: chicken, beef, bison, fish, turkey, pork, clams, lamb, duck etc. Make sure the meat is the highest quality you can get. This means grass fed or organic (they’ll be another post later about the difference between ‘all natural’ ‘organic’ etc labels). Whatever that animal ate, you are now eating. If it ate hormones, you are getting added hormones. Make sure this meat is not the “99% fat free Purdue ground Turkey” that I used to live off of. One of the hardest concepts to accept when eating the Paleo lifestyle is that HEALTHY fats are your friend. Be creative with how you cook your veggies and with the seasonings you use. You can steam, boil, bake or grill them. Try seasoning with lemon or rosemary or cinnamon or balsamic vinegar. These can come in all shapes and sizes such as: coconut oil, avocados, grass fed butter, bacon fat or duck fat. Eat sparingly, but still enjoy now and then. Peanuts are not technically nuts. They are legumes and legumes are a no go. Why? We’ll get to that. Once again, eat sparingly, especially the fruits that are higher in sugars. You may have guessed it, but refined sugar is not allowed. In fact, Paleo encourages that you try to have as little sugar as possible. Now, I have a sweet tooth so in order to satisfy that I try to use natural sugars such as maple syrup (organic), agave or honey. Milk and yogurt is not a part of the Paleo lifestyle Instead try things like coconut milk or almond milk. Grass fed butter or ghee is okay. Now all you science-minded people or critics may be asking WHY? Well, let me tell you. Why no grains? Why reduced sugar? All grain products have anti-nutrients that harm digestion and can create inflammation of the gut. One of the main anti-nutrients is called phytates. Phytates bind to minerals we eat and keep them from being absorbed properly by the body. Other examples are saponin (in quinoa) or lectins (found in most legumes). So by eating grains and refined foods like pasta, white rice or flour, you are actually keeping your body from absorbing nutrients from other foods you eat. A high intake of carbs and sugars promotes dysbiosis, which is a microbial imbalance inside your gut that hinders digestion. What’s going on with dairy? To be honest, dairy is a highly debated subject in the Paleo community. Most adults are intolerant of lactose to some degree, which is harmful to the digestive process. Also, aspects of milk (like insulin) can also contribute to acne. Some people do believe that minimally processed dairy (Greek yogurt or whole milk) is beneficial in small portions. If you choose to eat dairy, make sure it’s not just highly processed low fat milk from cows fed a bad diet. What they eat, you eat. Listen to your body. Eat until you are full. Try to have about a 40/30/30 break down of Protein/Fat/Carbs. But truly, it’s all about what works for you. Why do I do Paleo? I was one of those people who was always tired, always bloated, always hungry and binging, and would randomly get stomach aches and digestive issues. I tried a bunch of different types of “lifestyles”, from Vegan to Vegetarian to Gluten Free to High Grain/Low Meat trying to solve these issue. The only one that truly made me feel BETTER and not worse has been Paleo. My energy level has increased drastically. My digestive issues and bloating have disappeared. I finally feel full and satisfied, without binging on sweets. Also, with the amount that I work out my body needs the high levels of protein and fat to refuel. So THOSE are the reasons that I chose to follow a Paleo lifestyle. If you’ve been curious, I suggest you try it out! It can’t hurt. If you have any questions, feel free to leave a comment below and I’ll be sure to get back to you! Still want more? Check out the book Practical Paleo by Diane Sanfillipo. Highly recommended. Great! 80/20 is definitely the way to go. It lets you enjoy live and go out to dinner etc, instead of constantly worrying, while still eating Paleo most of the time! Let me know how it goes! Ahhghhhghgh!!! I love everything about you and your blog. This whole page is everything that I’ve been telling people for the past year. I hate the cynicism but if I can shed some light to even the biggest critics, then I’m ok to deal with the bad attitudes and the jerk comments. Yayy! Yes exactly! To any critics of people who make fun of me I always just tell them – you do what makes you feel good, I’ll do what makes me feel good – which is Paleo!